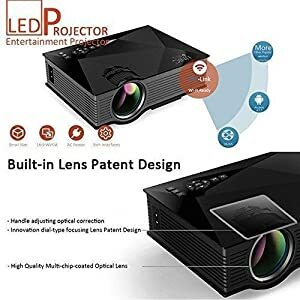 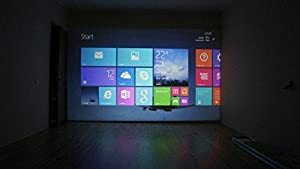 The UNIC portable Wiki Projector is a handy and convenient device useful as a home theater, projecting screens or presentations in school and office. It can be connected via USB, SD, HDMI, AV and VGA links to mobile phones, smart TVs, laptops etc. It has a superior TFT LCD colour output with a dynaamic range of 16.7 million colours. It has a maximum resolution of 1080p with 16:9 aspect ratio Interface and brightness: 1200 lumens. 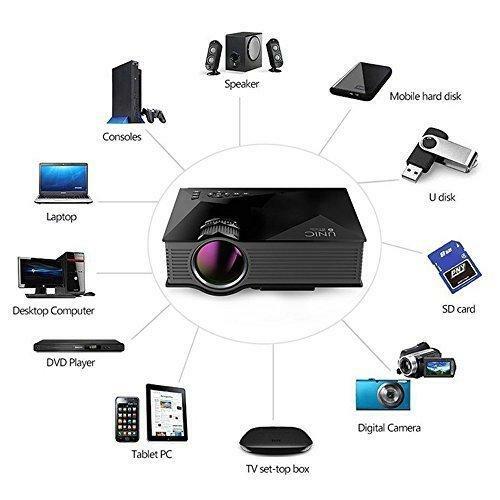 It has a Multi-chip coated optical glass lens, with keystone correction and lens adjustment mode.